The government has some work to do if it wants to win local support for nuclear power in the future. In recent weeks, nuclear debates in South Korea centered on North Korea’s nuclear weapons tests and whether Seoul should develop its own nuclear weapons in response. But there is another nuclear issue percolating under the surface that is perhaps more critical to South Korea’s future: hollowing support for nuclear power. In August 2015, residents in Yeongdok – a small district on the east coast of South Korea – voted in a locally organized poll 62 percent to 31 percent against construction of two new nuclear power plants in their district. This follows similar opposition from another community about 100 km up the coast, Samcheok, whose residents voted in an October 2014 poll 89 percent to 14 percent against the planned construction of nuclear power plants. While neither official nor legally binding, the results of these two polls are still surprising. Considering that nuclear power has enjoyed exceedingly high levels of support in Korea, are these votes the leading edge of growing anti-nuclear sentiment? Or are they more an indication of the “not-in-my-backyard” (NIMBY) phenomenon? Data suggests that despite consistently strong views about the importance of nuclear power to the economy, Koreans have become increasingly concerned in recent years about nuclear safety. In fact, the Korean public has declining trust in the government across the board, which has spillover impacts on support for nuclear power. The Korean government faces an urgent need to find ways to bolster public confidence in nuclear power. South Korea has a very high density of nuclear power given its small territory. An energy resource-poor country, nuclear power in Korea provides about 26 percent of its electricity, second only to coal generation. The growth of the Korean economy since the 1970s is correlated strongly with its development of nuclear power, and today it operates 24 nuclear power plants. Continued use and indeed growth in the use of nuclear power is central to the government’s national energy planning, particularly in light of its plans to reduce fossil fuel use to cut greenhouse gas emissions. Accordingly, the Korean government has indicated plans to build up to eight more nuclear power plants in the next fifteen years, in addition to four units currently under construction. But these plans could be complicated by opposition from citizens, including those in Yeongdeok and Samcheok. In annual national polling conducted by the Korea Nuclear Energy Agency (KNEA) since the early 1990s, Koreans have held consistently strong views – 80 percent or greater – about the need for nuclear power. Despite the general global rise in safety concerns following the 2011 nuclear accident at the Fukushima Daichi nuclear facility in Japan, support among Koreans for sustaining nuclear power has stayed between 87 percent and 90 percent on an annual basis in the last five years. Interestingly, despite this pro-nuclear sentiment, local acceptance of nuclear power has never been very high, peaking in 2010 with 28 percent of respondents favorable to hosting nuclear power in their community, declining to 20 percent in 2015. Beneath these figures, however, are some subtle but very important shifts in attitudes. Despite the consistent but disparate levels of support for nuclear power at the national and local levels in Korea, a majority in Korea no longer favors building new nuclear power plants. In 2015 KNEA polling, more 54 percent of respondents supported maintaining the existing level of nuclear power, while just 30 percent favored more, compared to 2009, when 51 percent favored more nuclear power and 40 percent preferred the status quo. Positive views on nuclear safety also peaked in 2009 at 60 percent, dropped to just 34 percent in 2012, and have yet to break 40 percent. These figures are not particularly surprising, given the Fukushima accident. Furthermore, in 2012 and 2013, the Korean government acknowledged serious corruption in its nuclear supply chain, with falsely certified parts having been installed in a number of reactors, forcing costly retrofits. These incidents shook confidence in the government’s ability to regulate nuclear power and avoid the mistakes that led to the Fukushima accident. In the context of shifting national attitudes, what do the votes in Yeongdeok and Samcheok indicate about local support for siting and building new nuclear power plants per the government’s plans? In some ways, the opposition in Samcheok is less revealing. There, residents on several occasions have opposed government plans to build nuclear-related facilities in the district as long ago as 1998. They also have elected local leaders who oppose building nuclear power plants and instead have sought to install a solar power facility in their community. Polling in Yeongdeok offers a more nuanced picture that is perhaps more similar to other potential nuclear host communities than Samcheok. In Yeongdeok, polls in 2015 affirmed the rise of major concerns about nuclear safety, but also indicated that support for hosting reactors could increase if the government offered incentives. For example, in an April 2015 local poll, 35 percent of voters favored the reactors, with 59 percent opposed, yet those percentages reversed were the government to meet demands for compensation, 50 percent to 39 percent. This suggests some malleability of local views, rather than hard and fast opposition. 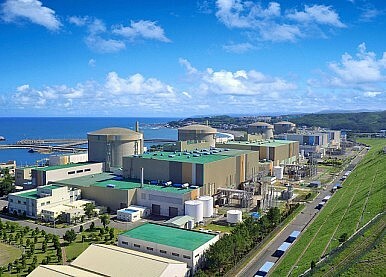 Though the government may have to invest additional resources in Yeongdeok, it could yet construct new reactors there. The good news for the Korean government to be taken from these data is that there is not yet a tidal wave of anti-nuclear sentiment – there is a window in which it can seek to improve public confidence. However, rising national concerns about nuclear safety and decreasing support for building new power plants, coupled with general distrust of government, pose a critical challenge to Korea’s nuclear future. At the very least, the government must do a better job to address concerns and improve trust in the safety of nuclear power in Korea. It also needs to better understand resident concerns in places like Yeongdeok if it is going to win local support for nuclear power in the future. Toby Dalton is co-director of the Nuclear Policy Program at the Carnegie Endowment for International Peace. Minkyeong Cha was an Asan Fellow at Carnegie. A long-term policy is running into increasing domestic opposition.